Improve your business knowledge and skills today. CorNu Enterprises Inc. has developed practical business management educational materials for small and medium sized businesses. 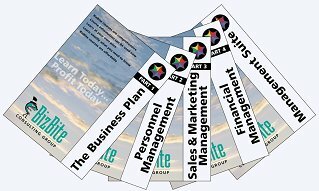 These educational products are marketed under the BizBite Consulting Group brand. These materials are designed for self-paced learning. They are organized in bite sized chunks so busy people can absorb the information quickly and apply the ideas immediately. In addition, they are fun to use. BizBite is the brainchild of Dr. Shirley Chapman, a veteran educator, who has over 30 years of educational experience and Graeme Robertson, a business management professional, who has over 30 years of business experience. BizBite products are available download, and sold on CD's using Adobe pdf format. More products - Fifteen modules, extracted from the above major products, are available for download. Please click on the bullets for more information about each product. Take a step towards your business success.